This is an uncommon classic and clean 1966 ROLEX OYSTER manual winding vintage OVERSIZED watch in stainless steel measuring a full size 36mm. 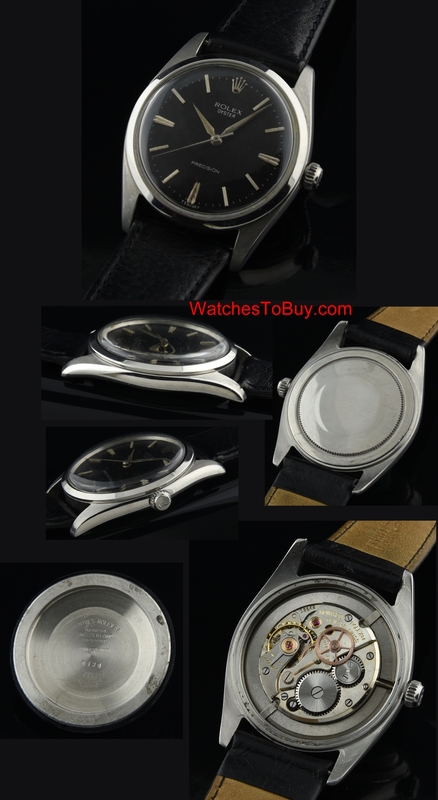 These are large size ROLEX watches which were the same size as the ROLEX EXPLORER from the same era. These watches fit a 20mm. bracelet. The stainless steel case displays no major dings or nicks. This example has a dial restored many years ago, retaining the steel, desirable Dauphine hands. The original steel markers are (of course) still intact. We just had the robust and fine manual winding ROLEX movement cleaned by our watchmaker and it is accurate. 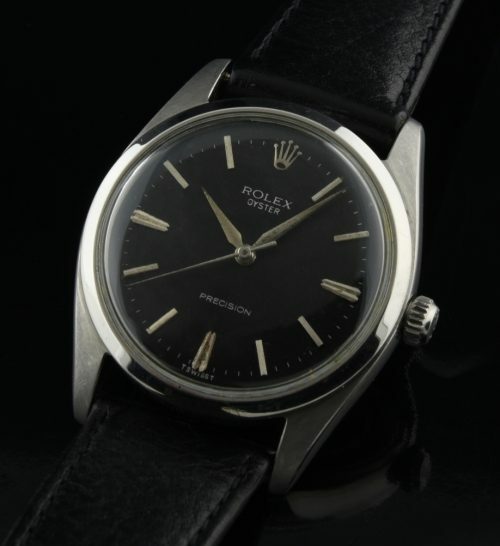 This reference 6424 ROLEX OYSTER appears larger in stature on the wrist than your regular Air-King or Oyster Date. Just $2350.